A conversation and drawing project with staff in Glasgow’s Gallery of Modern Art. Systems Breakdown is a series of ten pen and ink drawings subsequently reproduced as an artist book for staff at GoMA. My role as Associate Artist was set up to engage GoMA staff around issues of climate change, in response to Ellie Harrison’s Early Warning Sign the gallery had been hosting. I originally intended to work with the staff to map flows of resources through the gallery such as heat, light and electricity; treating the building as a whole system that could be connected to a wider global framework of energy flows. However, as I got talking to the diverse range of staff working in the galleries and library, it become clear that their perception of the institution of GoMA as a whole system was not a singular one, and that to understand the staff and their places within that system was a job in itself. As I got to know people and began understand their roles and routines, I used conversation and drawing to map the complex relationships between the individual, the institution and climate change. I attempted to map out and draw the infinitely dynamic and intangible relationships between people and the systems they work, live and think within. The ten drawings are made of numbered dots and lines. Each has a corresponding index, explaining who/what each number represents and what each line/relationship means. Systems Breakdown is a limited edition of 50 artist books comprising all ten drawings and indexes, printed on the GoMA office printer using standard A3 recycled office paper. The whole edition was distributed to the staff directly involved and others who had been mentioned within the drawings. 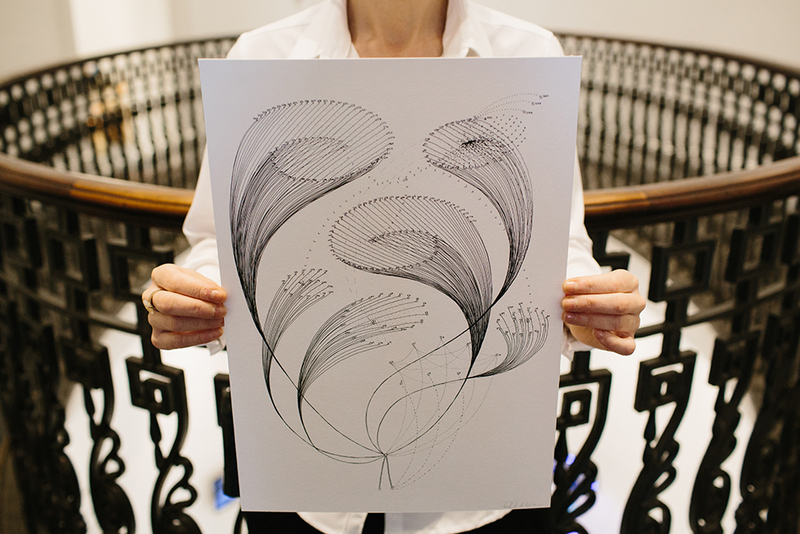 Each of the ten staff members received an archival digital print of their drawing.